An early morning drop off service for parents. The service opens from 8am and breakfast of cereal/toast and milk are provided for children. School children are then escorted by a staff member to school for 9am. This service operates daily and is open to all parents/caregivers. These are preschool services offering quality preschool education to the children of Ballinamore and surrounding areas. They follow the Aistear curriculum framework. Lollipop kids teaches children through the medium of the English language and An Naíonra teaches children through the medium of the Irish language. They take children from age 2 years and 10 months as long as they are potty trained. The preschools are open from 9am – 12pm and operate 38 weeks of the year in line with the Ballinamore national school year. Manager: Sandra Reid. Ballinamore afterschool provides a quality affordable service for all children inclusive of special needs, cultural, financial and religious backgrounds. They provide support for parents/carers and they are welcome at all times. The main aim of their service is to offer children a warm caring safe atmosphere where they feel valued and each child is treated as an individual. All children are collected from school and escorted to afterschool by staff members. They have a curriculum which can change to meet the needs of the children. Homework supervision is offered as part of the service. The Afterschool has a long list of activities including art/crafts, table top games, computer game, sand/water play, outdoor games, outings, discos, parties, and lots more. They are open from 1.30pm to 6pm. Afterschool Leader: Deirdre Harvey. 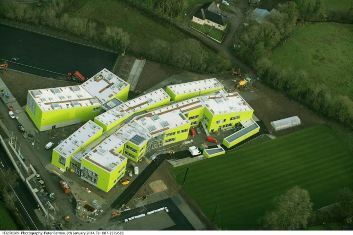 Scoil Chlann Naofa is a mixed national school. 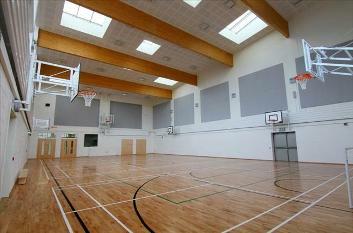 It is a newly amalgamated school, formerly Scoil Naomh Padraig(BNS) and Scoil Brid Naofa(GNS). 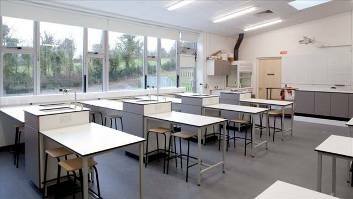 The school has 7 classrooms(with junior infants, senior infants and children from 1st to 6th class) with experienced teachers and offers the variety of sports during the school year: football, rugby, hurling, basketball, athletics, swimming, yoga. Also Sean Nós dancing and tin whistle. They offer field trips. The school has a Choir, who gives a concert each year. The pupils participate in debating, national spelling bees, Artists in the Classroom, Seachtain na Gaeilge and Green schools, film making competition. 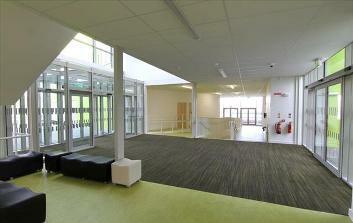 The school starts at 9.00am and finish 1.40pm or 2.40pm. School Principal: Noel Mc Keon. 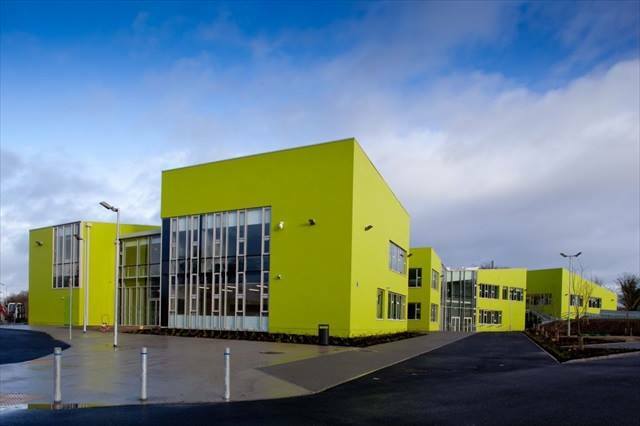 After a 46 year wait and much campaigning on the part of the community, 6th October marked the official opening of the new 4 acre €8 million state-of-the-art community school. The facilities are superb with each room taking full advantage of the natural light. 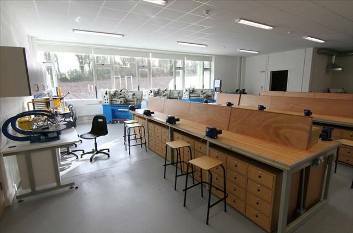 The school boasts classrooms, science labs, computer rooms, gym, sports hall, language room, engineering room, construction room, demonstration room with theatre seating, drama, religion and meditation room, canteen, lecture halls and outdoor courts are all fitted to the highest specifications and standards to maximise the potential of students. The four acre site also includes a training football pitch, five basketball courts which can be used for a variety of sports, dressing rooms, polytunnel, bus shelter, car park and one way pickup/drop off traffic system. The school currently has 25 teachers and just under 300 students. The new school is built to facilitate approximately 400 students. Click on RTE to view part of this occasion. Third-level education in the Republic of Ireland includes all education after second-level, encompassing higher education in universities and colleges and further education on Post Leaving Certificate(PLC) and other courses. Adults Courses are available in Mohill, Drumshanbo, Carrick on Shannon, Cavan, Sligo, Longford,Enniskillen and many more locations. ⦁ Gardening - Gardening Course starts 26.04.2018 from 10am to 12noon in Old Vocational School, Ballinamore. ⦁ Arts and Crafts - Arts & Crafts Course starts 24.04.2018 in Old Vocational School in Ballinamore. It runs for 10 weeks, Tuesday mornings 11am - 1pm. There may be a small charge for materials. If interested please contact Patrick or Margaret in the Tourism Office to put your name down, e-mail: ballinamoretourism@gmail.com, tel: 071 9644513 or call in person to our Tourism Office. Art classes (oil and acrylics) with Noreen Gaffney on Wednesday evenings 7pm-9pm at Fenagh Visitor Centre. Call (071) 9645590 to register. Start your own business course – One evening for 6 weeks. Thinking of starting your own business? This programme is designed for those thinking about setting up a small business or those who have recently done so. Contact us now on 071 9632024. Leitrim Development Company is currently recruiting for their QQI Level 5 Hospitality Operations Course. The course is full-time and will run for 42 weeks, commencing end of May 2018. 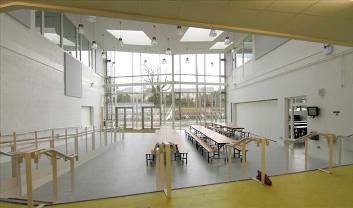 It is based in the Training Kitchen in the Food Hub, Drumshanbo. Course is free to eligible participants. Funded by MSL ETB and DEASP. For more information or to register please contact Leitrim Development Company on 071 9641770 or email Jeanette@ldco.ie. has a number of vacancies on our Employer Based Training Course, 12 month duration, offering QQI certification and work placements in a range of sectors with on-going coordinator support and good employment opportunities. For more information contact  Noel at: 0862481383 or 071 9650693,  e-mail: carrickonshannon@nln.ie. Courses at Leitrim Flowers are informative, enjoyable and interactive. Our 35 years’ horticultural and landscaping experience, along with our environmental awareness and knowledge of Irish wildlife, mean that the time spent at Leitrim Flowers is practical and enjoyable. All courses are held on a Sunday - starting at 10am and finishing at 4pm - and cost E70, which includes tea/coffee and scones on arrival and a home-made lunch. Courses are held in a restored cottage on our land where we have created a cottage garden that we use specifically for training courses. The garden has been designed and planted so that it acts as a useful tool for courses. The plants (trees and bushes also) are perennial, cottage garden favourites and all can be cut and used for bunches, bouquets and floral arrangements. Do you want to re-train to re-enter the workforce? Are you out of work due to illness, disability or a personal setback? ICT Skills is a level 4 programme designed to support people who have faced a long-term barrier to employment to re-train and re-enter the workforce. Participants on this programme may qualify for a training allowance (depending on eligibility criteria). Benefits to this programme include a work placement, training plan, personalised support and QQI certification. Please telephone Mary on 049 4377038 for more information. Want to study Ag Science as an extra subject? Want to improve your Ag Science Grade? Weekly classes in Leitrim area, starting next September, from experienced teachers who have many year's experience correcting exam papers and monitoring projects. Contact 086 1925895 or 087 9564411 for details.